Home > Archive by Category "Personal Injury Calculator"
In law, personal injury describes any harm a person experiences resulting from another person’s negligent or wrongful behavior. I’m sure you’ve seen the commercials or billboards for personal injury attorneys at some point. But what actually constitutes a personal injury case? Personal injury law permits victims of personal injury to be compensated for injuries, expenses, and losses by the person or party who is responsible. A personal injury claim is, in essence, a negligence claim in which the accused is said to have failed in his or her ‘duty’ to exercise reasonable care. “Most personal injury cases are governed by the law of negligence, which dictates the level of reasonable care that is owed from one person to another in a given situation, and the kinds of conduct that would amount to a breach of that legal duty, leading to liability for any resulting injury,” further explains an attorney at Mesriani Law Group. Vehicle accidents, defective product claims, pedestrian accidents, medical malpractice, and slip and fall accidents are among the most common personal injury claims. Car accidents account for the most personal injury claims and include personal injury between cars, but also cyclists and pedestrians. Though negligence is often the cause, weather can also be a factor. Slip and fall personal injury claims may be a result of negligence on the part of a property owner. An injury caused by a defective product that was being used as intended can also result in a personal injury claim. Medical malpractice, while often controversial, is injury which occurs in a medical setting. In medical malpractice cases, the injured party must prove the doctor or personnel did not provide competent medical services and caused the injury. Assault as well as Intentional Infliction of Emotional Distress (IIED) are not a result of negligence, but rather, are intentional, and can qualify as a personal injury claim though most often they are classified as criminal cases. Though not an inclusive list, this should provide an ample understanding of what provides a personal injury claim. Personal injury claims are based in three concepts – negligence, strict liability, and intentional wrongs. Negligence results from carelessness or the inability to refrain from dangerous or harmful behavior. In negligence cases, the injured must establish negligence on the part of the accused person or party. Strict liability holds designers as well as manufacturers liable for injuries incurred as a result of defective products. Strict liability differs from negligence in that the injured is not required to show negligence but rather to demonstrate the product was designed in subpar fashion making it dangerous when used for its intended purpose. Intentional wrongdoing or intentional wrongs can also become personal injury claims, though they are not as common as negligence and strict liability. Intentional wrongs occur when one individual hits or pushes another, even in jest, and the person is injured. The injured party may be able to file a personal injury claim as a result of the injury incurred. Personal injury, while often thought of as physical harm, also includes injuries which cause damage to an individual’s quality of life. For example, legally personal injury could occur if a colleague provided false information regarding another colleague’s qualifications damaging his or her opportunities for advancement or a new position, thus impacting income and quality of life. When in doubt regarding personal injury and resultant claims, it is imperative for the injured party to contact an experience, well-qualified personal injury attorney to determine a positive course of action going forward. Anyone living and working in Los Angeles probably thinks that traffic along the I-5 corridor through the county is about as bad as it gets in the United States. Actually, that’s ‘almost’ true! Yes, traffic is congested but you may be interested in learning that according to statistics listed in Forbes online magazine, LA is only the 5th most congested! Ahead of Los Angeles are Boston, Washington D.C., Chicago, and New York City respectively. Even so, that doesn’t help when there are so many traffic accidents with injuries in Los Angeles. So other than road rage and impatience in traffic, what are the five of the most common causes of car accidents with injuries? Check this out! If you haven’t already done so, do yourself a favor and get a Bluetooth earpiece for that blasted cell phone! Although the other causes of accidents with injuries are in no particular order, distracted driving holds the lead in no uncertain terms. If you’ve been injured due to a distracted driver, the first thing you should do is hire a car accident attorney who can get you the just compensation you deserve. With so many types of hands-free apps and devices, there is no reason for such negligence! See to it that you are compensated! Getting back to the sheer volume of traffic in LA, it stands to reason that this could be a huge cause of accidents, especially during rush hour. Not only will you be literally gridlocked in traffic on the interstate but you will feel that frustration on city streets as well. Too many drivers become impatient waiting for traffic to begin moving and this is where heat and rage take over. Drivers tend to want to make their own “passing laws” but with serious consequences. This is another time that a lawyer would come in handy. Any driver that can’t control their emotions when behind the wheel should pay the consequences – or get off the road! In a state with legal medical and recreational marijuana, you’d think that pot is a leading cause of driving under the influence in California. Actually, alcohol still takes the lead and, unfortunately, is the leading cause of traffic fatalities among teenagers in LA. This is according to LAPD. Speeding is also a leading cause of accidents with injuries but usually, it is accompanied by other offenses at the same time. Speeding, along with tailgating, dangerous lane changes and distracted driving can increase the odds of an accident many times over. If you or a loved one has been injured due to the carelessness of another driver, know that you do have recourse. Hire a lawyer at your earliest convenience before you speak to anyone. Be careful what you say to officers at the scene and always make sure to let your lawyer do the talking after that initial contact. You deserve to be compensated, so let them get the settlement you so rightfully deserve. Everybody has to deal with hardships that come with most jobs. Burnout, not enough vacation time, or friction between coworkers are all facts of professional life. However, nobody wakes up and expects to get injured at work that day. Unfortunately, injuries are more common than you may think. In fact, private employers reported approximately 2.8 million workplace injuries in 2017 alone. This best way to avoid work-related injuries to understand which types are the most common for your industry. To help educate you, we’re going over five types of workplace injuries you may encounter during your career. This type of injury is sometimes hard to identify. It can also affect people in all types of job roles, from office work to factory assembly. Repetitive motion injuries result when a person must perform the same task over and over throughout their shift. Eventually, deterioration occurs. An employee can suffer from a repetitive motion injury as a result of lifting objects, remaining on their feet all day, or typing. Even sitting for too long can lead to workplace injury. Problems can include back issues, joint issues, carpal tunnel, or vision problems. These injuries can sneak up on an employee and cause them to have to miss work or seek medical treatment. Many businesses are now integrating ergonomic equipment into the workplace to prevent repetitive stress injuries. This equipment includes ergonomic chairs, standing desks, special keyboards, or back supports. It’s also important for employees to take regular breaks during their shifts. Even short breaks can help reduce the chance of repetitive stress injuries. In workspaces with hazardous footing, slip and fall accidents are bound to happen. This may include construction sites, kitchens, or retail settings. Many of these accidents occur when surfaces are often wet or oily. Employees have to take proper precautions and make sure to wear the right shoes. In cluttered environments like construction sites, uneven surfaces or poor lighting may cause an employee to lose their footing. Unfortunately, many of these accidents don’t end well. When a slip and fall occurs, a broad range of injuries can result. A person may sustain anything from sprained ankles to serious head injuries. Broken bones or major cuts can occur as well. Employers have a responsibility to provide a safe work environment for their employees. In places like kitchens or warehouses, the use of proper warning signs is a necessity. Construction workers must also go through the right safety training to avoid injury. If a slip and fall occurs due to the negligence of a business owner or other employee, a worker may have a right to seek compensation. They’ll need to hire a personal injury attorney to evaluate their case. For workers who frequently operate semi-trucks, taxis, or any type of motor vehicle, auto accidents are always a threat. This is why these jobs often require extensive safety training and a specialized license. Operators of semi-trucks must take extra precautions. Due to the frequency of highway driving and the heavy weight of eighteen-wheelers, accidents can result in serious injury. This risk gets amplified when drivers must work long hours. Exhaustion can greatly reduce a person’s reaction time, which is dangerous when driving at highway speeds. Drivers of smaller vehicles are also at risk of neck injuries, broken bones, or head trauma. This is why companies must carry adequate insurance for their employees. It’s important all drivers wear seat belts and employ defensive driving techniques. Businesses must also take measures to ensure their vehicles are properly maintained. Background checks are a must for driving jobs. Ensuring employees have a clean driving record helps protect them and other drivers on the road. People who regularly bend and lift heavy items are at high risk of strained muscles. This is a common injury in the warehouse, moving, or construction industries. Neck and back strains pose the biggest threat. Sustaining this type of injury can lead to mobility issues and intense pain. When this occurs, an employee will need to take time off to recover. Muscles strains can often start small and get worse if an employee continues performing the same task. That’s why it’s important to seek treatment at the first sign of a strain. Employees who must bend, lift, and carry objects on a regular basis need to use correct lifting techniques. This includes using the legs instead of the back. Braces can provide added back support. It’s also important for employees to avoid overworking their muscles. To help prevent injuries, most companies that require heavy lifting put a cap on the number of hours an employee can work. Employees can also help reduce the chance of a strain by performing stretching exercises before and after their shifts. Work environments that require the use of machinery pose an added danger to employees. This could include everything from a kitchen to a manufacturing facility. When workers have to use machinery as part of their job, they must remain very diligent. It only takes a fraction of a second for a distraction to lead to serious injury. Depending on the type of machinery, injuries could include cuts, fractures, or burns. In extreme cases, a machine-related injury could lead to the loss of a limb or even death. Employees using a machine must go through proper operation and safety training. It’s also important for businesses to ensure their workspaces are clean and that warning signs are in use around dangerous machines. Workers should avoid wearing loose clothing while working with machines. Many injuries occur when an employee’s hand or arm gets caught. Wearing form-fitting clothes is a good way to prevent this. A job-related injury has the potential to put you out of work or even compromise the future of your career. The best way you can prevent this is by engaging in workplace safety practices on a daily basis. It also helps to educate yourself on the most common work-related injuries discussed above so you know what risks to keep an eye out for. For more legal articles on personal injury, check out our blog today. There are a lot of different circumstances that can lead to personal injury. Many of the situations in which injuries occur are the result of someone else’s negligence. If you have been in any type of accident, such as a workplace accident, slip and fall accident, or auto accident, and you were injured, there are some steps you should take to protect yourself and your right to compensation. If you are every injured due to the negligence of another party, you should take these measures to make sure that you are protected. Your ability to be compensated for your injuries depends on the steps you take when the accident first occurs. Even if you think that your injuries are minor, you should seek medical attention immediately after any accident resulting in personal injury. Some injuries are worse than they first appear. If you do not seek treatment immediately, it could be argued later that your injuries were caused by something else. Seeking immediate treatment is important for building your case to be compensated for your injuries. If you are restricted on your work duties or given limitations of any kind due to your injuries, you should be sure to follow them. Make sure that you attend any follow up treatment as well. Even if you start feeling better, you need to follow up and make sure you are following your doctor’s orders. Not only could you injure yourself again by ignoring restrictions, but you could put your ability to be compensated for your injuries in jeopardy. Insurance companies, whether it is car insurance, homeowner’s insurance, or worker’s compensation insurance, are in the business of protecting their profits. They will try to settle with you for the lowest amount they think you will agree to. This may not cover all of your medical treatments and losses due to your injuries. Before signing anything, you should make sure that you understand fully what compensation you are receiving. Once you sign or cash the check, you will be unable to get any additional compensation. The first thing you should do in any personal injury accident is contact an attorney. You will need someone fighting on your side to negotiate with the negligent party and their insurance carriers, if any. An attorney will be able to fully understand the scope of your losses and what compensation you are entitled to. You will fare much better if you talk to an attorney before discussing the accident with the negligent party or their representatives. Let the lawyer negotiate and discuss the case with them on your behalf for the best chances at receiving the full compensation that you deserve. How to Know If Your Personal Injury Lawyer is Any Good? Personal injuries are tragedies by themselves and personal injury lawyers are often the only hope of getting you some form of compensation for the pain and financial burden that you should not have had to suffer, had it not been for someone else’s negligence or actions. Unfortunately, not every personal injury lawyer is up to the task and there is no point in wasting time with them. But the question remains, how will you know that the personal injury lawyer you have hired is not the right one for you? Well, it’s not that hard to figure this one out really, but you will have to know and accept the signs for what they are. A lawyer has legal obligations to keep you informed about the case and its developments, so if he/she is uncommunicative regarding those details, it’s a sign that you are not dealing with a good personal injury lawyer. A good lawyer will pick up your calls/emails/texts or return them at the earliest, as well as keeping you informed on their own. Also, notice how fruitful each meeting with your lawyer is in terms of effective communication. Does he/she seem disinterested or closed off to your questions? It is unprofessional for any lawyer to be rude or impolite to their clients, so that’s always a red flag. If a visit to your lawyer makes you feel bad in any way, owing to his/her behavior, it is time to fire the lawyer and find a personal injury lawyer for your case that actually cares about the client, the case, and how he/she feels during the whole ordeal. If the law firm for which your lawyer works seems completely uninformed about your case or even your connection to the firm or is unable to find someone who can answer your queries for you, it is a bad sign that indicates unconnected and disorganized client management. A smaller, but reputed law firm might be a better idea for personal injuries, as they cater to their clients as a unified legal force. Does the Lawyer have a Case of Misconduct in their Past? If a lawyer in the US has been disciplined by the Bar in any given state, it does not reflect well on his/her resume. While it doesn’t necessarily mean that you are dealing with a bad lawyer, you should check up on the cause for which the disciplinary action was taken, and also, if any of the other symptoms we just discussed can be observed while working with the lawyer. Check for online reviews about the firm and the particular lawyer before hiring because it is always better if you take some time doing the research necessary for hiring a good personal injury lawyer, to begin with, but just in case you made a mistake, there is no reason to make it worse and continue either. What would you do if an accident changed your life today? Most people never think that a rear car collision or a simple slip and fall can have a big effect on their lives. But when accidents happen, they can be devastating. Accidental injuries have become the 3rd leading cause of death in the United States. And plenty that don’t die end up suffering severe consequences for simple mistakes. Injury lawsuits have helped people get financial compensation for their injury and prevent others from experience the same pain they went through. But these lawsuits are never a sure thing. You may have been harmed by no fault of your own, but you could still lose your lawsuit if you approach it the wrong way. Read on to learn what you should avoid doing if you want to win your personal injury case. It can be jarring to think that you could lose a suit you’re depending on, but it happens more often than you’d like to think. Any personal injury lawyer can tell you a story about where a client didn’t get what they deserved because of a simple mistake. We can’t guarantee that you’ll win every suit you file. But we do know if you follow these tips, your chances for winning will improve. In personal injury lawsuits, the evidence is everything. The jury’s verdict will depend on it, and so will your settlement. The more evidence you have, the better your chances of winning will be. Photos can help preserve important parts of your case. Take pictures of an accident scene, snap a few photos of your injuries, and keep a journal of any and all medical symptoms you’re experiencing. If there were any witnesses to the accident or injury, you’ll want their names and contact information for your case. If there was a police report filed, do your best to get your hands on it as soon as possible. Don’t worry about having to personally contact witnesses. Your attorney can handle getting important information from them. You claim that the injury has turned your life upside. Your family has been affected, your job performance has suffered, and you’re starting to experience severe anxiety and depression. But despite all these serious claims, you haven’t seen a doctor for treatment. Going to the doctor once after an accident won’t prove much to anyone. It doesn’t show that the injury has had a significant impact on your life, and it won’t be enough to sway the judge and jury. 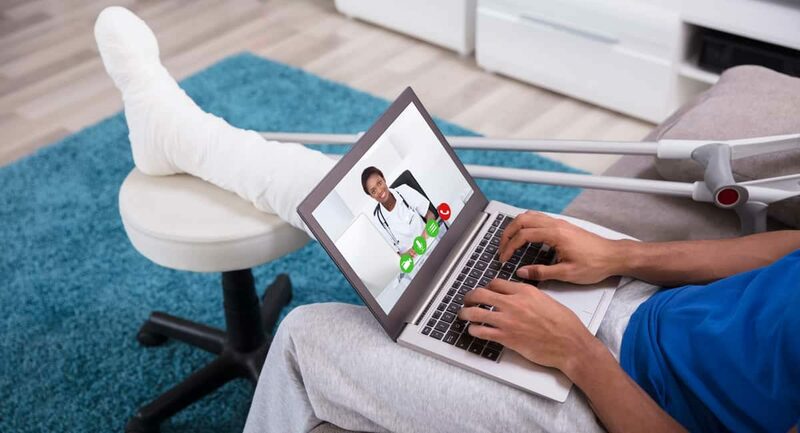 If you want to get a comprehensive injury settlement, you’re going to need doctors and other healthcare professionals to document your injury and needed treatments. Documentation from medical professionals can be excellent evidence in your case. It shows how your life was impacted, and it can give people on both sides an accurate image of how medical costs have impacted your finances. A personal injury lawsuit may not be a criminal investigation, but there’s still a statute of limitations on how long you can wait to file. Don’t make the mistake of waiting too long to file. The statute of limitations is only one reason why it’s best to file as soon as you can. Once you file your case, you’re allowed to formally start gathering evidence. It’ll make it much easier to obtain police records and get official documentation from doctors. Not waiting to file can also help with optics. The quicker you file, the quicker the people involved in the case know that you’re serious about getting a fair settlement and moving through the court. It also shows the judge that you’re serious about your case. You’re filing a personal injury lawsuit, so naturally, you focus on your medical bills and think only about recouping the medical side of the loss. You may be filing a personal injury lawsuit, but that doesn’t mean that all of your injuries and damages are all physical. Did you lose the ability to control or perform certain body functions? That can be extra damage that can be claimed in your lawsuit. Are you feeling more depressed or anxious after your injury? Are your family members having a difficult time coping with everything? You may able to sue for emotional damages, too. This is why it’s important to get proper legal representation when you’re filing a personal injury suit. You could be missing out on something important. Filing a personal injury suit can be a physically and emotionally exhausting ordeal. You can learn more about how long it can take for these cases to settle, but in some cases, people can fight for months or years on a single case. When you hear that there’s an offer on the table you may feel compelled to jump on it but doing that could do more harm than good. Personal injury lawsuits may not get resolved in one go and, in some cases, shouldn’t be. Some people may put a very low offer on the table to begin with. There could be other evidence you can use that can make your case even stronger. Remember, it’s okay to walk away from an offer if you don’t think it’s fair enough. You can go back a second or even third time to get something you think is fair. Social media has made it easy to see what friends and loved ones are doing. On the flip side, it has also made it easier for law enforcement and lawyers to keep tabs on people. You claim that you’re in horrible pain, but then a lawyer sees you posting pictures of yourself out at a party smiling. You may have been posing for a photo and you may have left the party in pain, but that won’t matter to the judge. Be careful about what you’re posting on social media and ask your friends to use their discretion too. Filing a lawsuit can help you get the personal injury compensation you need to get your life back on track. But you’ll need a good lawyer to help your case. If you have any questions about how to find legal representation, we’re here to help. Contact us today so we can give you the personal injury help you need. And remember, our blog is full of useful legal information. Browse our posts and expand your knowledge on the legal system. Feeling Stressed After your Car Accident? A car accident is a stressful and traumatic event that can leave you reeling. As little as we want to think about the possibility of being involved in an accident, though, it can be a good idea to give it some consideration just in case it does happen. Do you know what to do if you’re involved in a traffic accident? Even if you’re a good driver, the statistical probability is that this will happen to you at some point in your life. It’s in your best interests to be ready. The most important thing, throughout all steps of this process, is to remain calm. Easier said than done, yes, especially if either you or your vehicle have sustained serious damage. But by keeping calm and letting your more rational side prevail, you can ensure that the decisions you make are well informed and intelligent ones. This isn’t a time in your life when you want to get carried away with deciding things based on emotion. It’s easier to remain logical with a sequence of steps to follow in front of you, so we offer five first steps anyone who has been involved in a car accident should take. Always, always, always stay at the scene of an accident after it occurs! If you neglect to do so, you may be identified as a hit and run driver, and you could face criminal charges for that. This is especially true in a situation where someone was injured or killed. However, no matter what’s going on, you need to stay put and wait for the authorities to come check things out. While you wait, check on all the drivers and passengers involved. Make sure everyone is all right. If someone is injured, call 911—of course, injured parties may leave the scene, but should be prepared to give a statement to police later at the hospital if one is requested. If there is significant property damage or physical injury, you need to contact the police and bring them to the scene to file a police report. You should write down the names and badge numbers of the responding officers so that you can say later who you spoke to, should it be necessary. Be cordial and cooperative, both to the officers and to the other driver, but do not offer apologies for your part in the accident. Many people are shaken up after a collision and feel a basic human need to start apologizing—especially if someone in the other car is hurt—but that can be used against you later. When you’ve calmed down a bit, you may realize that this wasn’t really your fault at all, and you don’t want to be on record admitting that it was. As soon as possible, you want to contact your insurance company and let them know what happened. It may even be a good idea to do this from the scene of the accident. Your insurance company will be able to let you know what you can expect during the claims process. The claims adjuster will instruct you on where and how to get the damage to your car examined. They’ll then let you know how much of that damage the insurance company considers itself liable for, so you can make an informed decision as to whether to fix your car or buy a new one. If you disagree with the repair value given, you can ask for a full report that explains how it was arrived at. If you’re experiencing any pain or discomfort after an accident—even if you think it’s probably minor—take care of yourself. See a doctor and get yourself checked out. Symptoms and pains that seem minor might actually be indicative of something more serious, and if that’s the case, you want to make sure it’s noticed and remedied before it becomes severe. If you are diagnosed with any sort of injury or physical ailment that’s attributed to the accident, get documentation from your doctor. Let your insurance company know about that, too. You should also keep a record of how that injury impacts your daily life. Are you experiencing pain and suffering? Are you being kept from your previous lifestyle? Write it down. Document it. It’s best to have your auto repairs done at an approved shop, one recommended to you by your auto insurance company. Why? It’s a little bit comparable to the concept of choosing an in-network physician. You want a shop that your insurance company is familiar with, and you want them to work well together and trust each other’s diagnostics. Your insurance company is much more likely to agree to cover the work that was done if you take your car to a shop of which they approve. You must decide whether you want to consult with a car accident attorney and, if you do, whether or not you want to press charges against the other party in your accident. An attorney can also help you and the other driver work out insurance disagreements, even if neither of you is actively pressing charges. If someone else is at fault for your accident, a good car accident attorney will help you receive compensation for the physical and mental trouble you have gone through. You might receive financial compensation for medical bills, time you’ve had to take away from work, or a reward judged commensurate to your loss of enjoyment or pain and suffering. It’s easy to get carried away by stress and worry after a car accident, but don’t fret. Focus instead on these five steps and just look ahead to what needs to be done next. Before you know it, you’ll be leaving the stress of your accident in your rearview. Every year, 39.5 million people in the United States are injured and receive medical treatment for those injuries. Are you part of this group? Have you been injured in an accident recently? Whether it was a car accident, a slip-and-fall, or another type of accident, if you’ve been injured recently, you’re probably wondering whether or not you should file a lawsuit. It’s not always easy to tell if it’s a good idea to seek compensation after being involved in an accident. Sometimes, though, it’s worth it to get legal help. Here are five signs that you need to hire a personal injury lawyer. A personal injury lawyer is a lawyer who represents individuals who have been injured as the result of another person, organization, or entity’s carelessness or negligence. Personal injury lawyers investigate your claims, gather evidence, and research case law to help you receive the compensation you deserve after you’ve been injured. There are lots of benefits that come with hiring a personal injury lawyer like the Costello Law Group. A lawyer can help you figure out how much money you deserve and ensure you get that money. They’ll make sure that the other party’s insurance company doesn’t try to rip you off. A lawyer also can help you manage the stress of dealing with a lawsuit and will make sure that everything is handled in an appropriate way. You won’t have to worry about your case getting thrown out because you made a mistake filing the paperwork. It’s especially beneficial to have a lawyer on your side if there’s a possibility you’ll end up going to court. They can represent you and argue your case, both of which increase your chances of getting the compensation you deserve. As you can see, there are a lot of benefits that come from hiring a personal injury lawyer. How do you decide whether or not you need one, though? Injuries don’t always have to be visible, either. If you have suffered severe trauma and are struggling with your mental or emotional health after your accident, you could also be justified in seeking legal action. Do you have evidence to prove the other party is at fault? If so, you ought to file a lawsuit and seek to get compensation for your injuries. Do you know that the driver who caused your car accident was under the influence of alcohol or drugs? Is it clear that a product was defective? Do you have videos or photos that help to prove another party was negligent? All of these are examples of evidence that can help you to prove that the other party is at fault. If you’re not sure whether or not you have evidence, that’s even more of a reason to hire a lawyer. They will let you know if you have grounds for a lawsuit. Are you having trouble working with the other party’s insurance company? Are they offering you a very small settlement? Are they difficult to talk to or are they trying to prove that the other party is not responsible for your injuries? If you’re having trouble dealing with the insurance company, a personal injury lawyer can help. They can talk to the insurance company on your behalf and help to negotiate a larger settlement. Are your medical bills getting larger and larger? Are you getting overwhelmed and having a hard time figuring out how you’re going to pay them? As a general rule of thumb, it’s a good idea to seek legal representation if you have medical bills that are higher than $1,000. They can help you get the compensation you need to cover those bills without sacrificing your financial well-being. If multiple parties were involved in the accident, it can be hard to figure out who is truly responsible for your injuries. Everyone is going to be pointing the finger at someone else. If you’re not sure who’s responsible, or if you know who’s responsible but are having a hard time proving it, a lawyer will be an incredible asset for you. Be sure to pay attention to how they communicate, too. They should be friendly and easy to talk to. They also need to show a genuine interest in you and your case. Now that you know more about personal injury law, do you think it’s a good idea for you to hire a personal injury lawyer? If you are interested in hiring a lawyer, be sure to keep these tips in mind so you can find the right person for the job. Don’t forget to utilize our free search tool, too. We make it easy for you to search for lawyers in your area who specialize in personal injury law (or any other type of law, really). Workplace falls are more prevalent than ever with businesses paying out over 80 billion dollars a year to injured employees. Falls barely scratch the surface of accidents that people collect settlements on. If you’ve incurred an injury as a result of an accident that you suspect was due to negligence, you may be entitled to compensation for lost wages, suffering, and other physical and emotional traumas. Your first step to collecting what you’re owed is hiring good accident lawyers to manage your case. Below, our team shares seven important secrets to keep in mind when you’re seeking out legal representation for injuries. There are a lot of different facets of law. Hiring an off-topic lawyer, like say, one who specializes in criminal law for your personal injury case is a big mistake. Because good accident lawyers live and breath personal injury cases. They know the judges that try these cases, they know the subtleties of getting settlements, and they know exactly what paperwork needs to be filed in order to keep your claim on track. That kind of expertise will be invaluable when it comes to getting a favorable settlement. The last thing anybody wants on either side of a legal dispute is to go to trial. Trials are time-consuming, costly, and the outcomes of trials are highly unpredictable, which makes all parties nervous. The truth is though, some personal injury cases don’t result in a clean settlement. If the party you’re suing using isn’t offering you the settlement amount you’re looking for, your attorney has one of two options. They can accept the low-ball offer you’re getting or go to court to fight for what you want. If the attorney you bring on isn’t open to taking your case to court if necessary, you should look for other representation. Good accident lawyers are well aware of how often they win in court. If they have an excellent win-rate, they’ll probably showcase it in their marketing. If they have a not so excellent win-rate, they’ll try to sweep their record under the rug. Don’t let your prospective attorney get away with that. Ask your attorney how many cases they represent and how many of those result in settlements for their clients. Then, ask how much the average settlement amount they pull in is. If you’re unimpressed with their answers, or if they’re unwilling to share, move on. Experience matters when you’re hiring good accident lawyers. The longer they’ve been doing what they’re doing, the less mistake-prone they’ll be. Experience also tells you that your attorney has an extensive network of legal contacts that could help grease the wheels for getting your case to a favorable outcome quickly. Every lawyer has to start somewhere, so we don’t fault “new firms on the block”. We just don’t think you should risk letting them get their start with your livelihood on the line. Many sub-par attorneys may take on your case and then keep you in the dark as to what’s going on. These attorneys are usually more interested in getting your work done and collecting their money than they are in giving you their best effort. Bottom line, always give special preference to attorneys willing to offer more information. You’ll find that they’ll make you feel comfortable and confident as they manage your case. There are excellent online directories that can help you find attorneys. Our team at Halt.org believes we offer the best one available. Still, we think it’s also important you talk to people in your community when seeking out legal representation. Somebody that you know may be on good terms with a local legal professional that could offer you preferential treatment since you were referred. You never know until you ask, so tap into your immediate network in addition to taking your legal search to the world wide web. There are no fixed rates among lawyers. That means 10 different attorneys might offer you 10 different deals when it comes to legal representation. Furthermore, different attorneys will have different interpretations of your case and ideas on how to manage it. 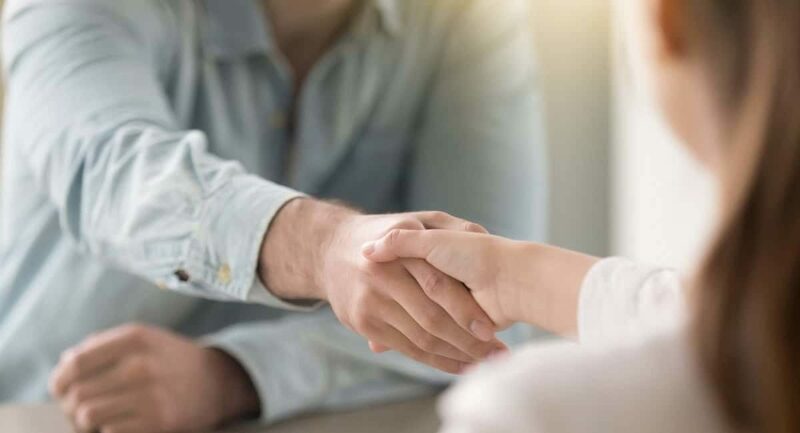 To make sure you’re getting the best representation and offer that’s out there, consider talking to a couple of legal professionals before deciding on a lawyer. There are almost certainly plenty of lawyers in your vicinity, and it never hurts to know what each of them has to offer. There are a lot of bits of wisdom you can lean on when looking for good accident lawyers. We think the tips we’ve shared above are among the most important that you’ll want to keep in mind. Armed with our insight, you’ll be able to find a high-quality lawyer quickly that will take good care of you and your case! If you’re looking for outstanding legal representation in your area, our team at Halt.org can help. Halt.org offers one of the deepest legal directories that you can find online, which you can leverage right now to find good lawyers nearby. Try our tools and get the representation you’re looking for today!